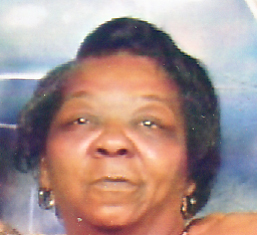 Greer, SC: On Wednesday Morning, May 23, 2018, Patricia Powell Miller of 115 Forest St., daughter of the late Johnny Sr. and Mattie Sue Walker Powell stepped out of this life and into eternity, where she has now reunited with her husband, Robert James Miller and together they are walking those Streets Of Gold, free of all pain and diseases. A Native of Greenville County, she was a member of St. Paul United Methodist Church. Most of her working life she was employed as a private sitter for various families in the Greer Area. She was preceded in death by her husband, Robert James Miller; a brother, June Jackson and 2 sisters, Lois Ann Moore and Rosie Powell. Surviving are: a son, Rosco Miller of Greer; daughters, Frances Miller of Greer and Tammy Miller of the home; brothers, Hardy Powell and Johnny Powell Jr. all of Greer, SC; 3 grandchildren; 2 great-grandchildren; nieces, nephews, a host of other relatives and many friends. Funeral Services will be 2:00 PM Saturday, June 16, 2018 in the Chapel Of The Gilmore Mortuary with Rev. Kenneth Murray, officiating.